What’s holding you back Aries? Is it fear or is it doubt? You’ve been planning a project for some time now but as you approach the manifestation of it you are beginning to pull back. The universe is encouraging you to set your doubts aside, for this venture could put on the path of great success. Later this weekend your focus shifts to relationships, is there someone in your life you feel could be more than just a friend? Conversations could take a deeper turn. The moon sees you are struggling Taurus but fear not, because early in the week an aurora of luck will surround you. Let your worries be free as you push through the rest of this week. Later this weekend concerns around money and popularity will rise. 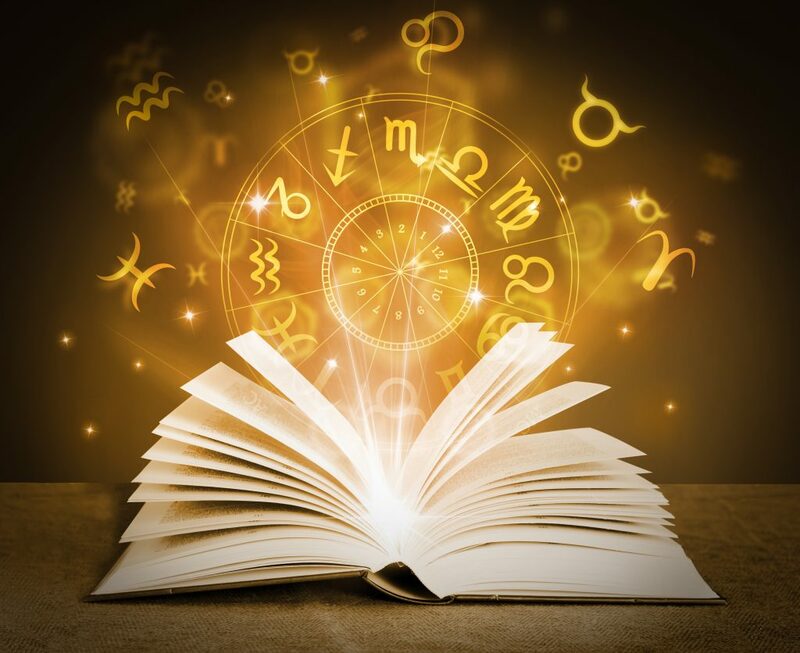 Your sign is known for its meticulous thought process surrounding work and finances. It’s okay to splurge sometimes though, don’t be too stingy. You’ve worked hard all semester, have some fun! Your quote of the week Gemini is, “there’s no lemon so sour that you can’t make something resembling lemonade,” (This Is Us). You are one of the toughest signs in the Zodiacs. The stars see that the last few weeks have been difficult but fret not. All your hard work and determination will become fruitful by the end of the week. So make your lemonade, then kick up your feet and enjoy it. There may be a someone in your life you didn’t expect to be more than a friend that will sweep you off your feet this weekend. Keep your mind open and your heart ready. Even the stars can’t always predict your ever changing life dear Cancer. Your sign seeks comfort and stability in life but this week it might get thrown through a change you are not expecting. Take these changes with a positive attitude and you will see down the road it will make sense. Later in the week your relationships with those in your inner circle will grow deeper due to some deep conversations. Everyone has different views, and your sign is wonderful at connecting those who normally disagree to come to an understanding. Take a step back and listen. All eyes on your dear Leo! A decision will have to be made this week that you were not anticipating, it will involve a lot of attention but that doesn’t scare you. You are empowered by an audience and therefore your choices will be a lot more well thought out. As the weekend approaches take time to focus on your inner circles of family. Its best to take time to recharge and relax. Conversations will be light and fun, things you need right now. The stars are telling you to take a step back Virgo. The universe has seen some turmoil arise in your life the last few weeks whether that be personally or professionally. In order to see the full picture sometimes we need to stand at a different angle. This is the case now. You are strong dear Virgo and you have a very full heart. The pressure of projects and expectations may be too much so take some time for self care. As the weekend approaches the universe sends good vibes so you can finally take that deep breath of relaxation. Libra a strange new star has shown up in your skies. This could be literal, scientists are still trying to figure out what they’re seeing, or it could be metaphorical. Is there someone new in your life that has caught your attention? The universe is encouraging you to spend some time with this person. This has great opportunity to blossom into a wonderful relationship, romantically or platonic. As the weekend approaches you become a busy bee getting tasks done! Make sure to take some time to relax and rest. Your lucky color this week is yellow dear Scorpio! With spring weather finally settling in, splash some pastel or neon yellow into your wardrobe throughout the week. This will be a busy time for you as deadlines and projects approach but you are in the right frame of mind to get things done! As the weekend gets closer plans begin to form for long term endevours and goals. Start by making a list of how to reach them, then go from there. You are so driven Scorpio that you can accomplish these by simply starting with a plan. Your planner is becoming overwhelmingly full Sagittarius! With deadlines and plans approaching quickly it may seem like all too much. The universe is sending you some positive vibes so fear not. You will start the week feeling motivated and ready to go! As the weekend approaches, friends and acquaintances will have plans to help remind you the importance of having fun. Conversations will light and cheery, all the things you need right now! Now is not the time to binge watch The Office again dear Capricorn. Your to do list is getting higher and so is your procrastination. Fret not, the stars are aligning to help get you motivated. Early in the week you will set your to do list and by the end of the week you will feel much more accomplished. Someone in your life who seemed like an acquaintance may become more by the end of the weekend. You two will discover more common interests which could make for lighthearted conversations. Don’t allow the stresses of life to bring you down, the spring season is encouraging good change! The universe has seen you struggle recently Aquarius, whether that be professionally or within your inner circles. As the week starts out you will feel a burst of motivation and positive vibes. Carry this attitude with you throughout the week and weekend. Your lists of tasks will decrease and your plans with friends will more carefree. There’s a new moon approaching which will influence some new shifts in your life. Has there been a vacation you’ve been dreaming about taking? The universe is encouraging you to go. Love is in the air dear Pisces. Whether you’re coupled or single, there is a new spark filling your heart. If you are already involved with someone, this spark could be reignited with a new found interest in a hobby or vacation get away. If you are single you may meet someone soon who shares a lot of similar interests as you. Wear polka dots this week, it will allow the universe to channel these lovely vibes your way. As the weekend approaches the stars encourage you to get that to do list done. You will enjoy your days off much more once it is.